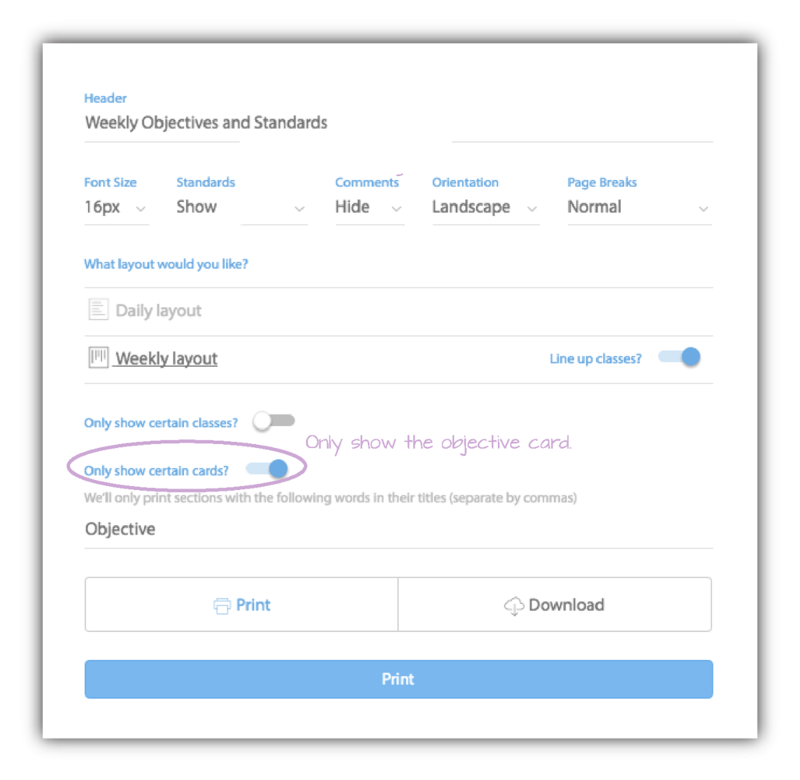 To print specific cards in Cc, you first have to select ‘Only Show Certain Cards’ in the print menu. Then, write the names of the cards EXACTLY as they appear in the lesson plan template. For example, if your card is called ‘Objective’ writing ‘obj’ won’t work. Look out for capital letters and plurals. Note: If you are printing multiple cards, at this time do not add a space after the comma. This is a small bug. So, for example, if you are printing your ‘Objective’ and ‘Homework’ cards, write ‘Objective,Homework’ with a comma but no space between the card titles.